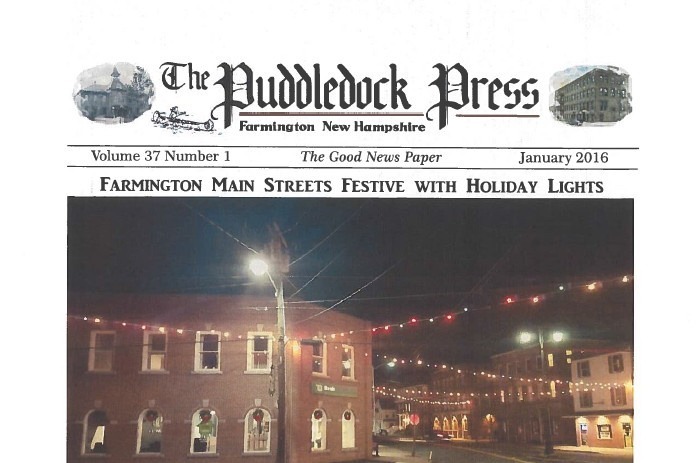 At its peak, the Puddledock Press offered 28-30 pages of news, photos, and advertisements. Now, we can barely fill 12, and every page is a struggle. We printed 1500 copies and they disappeared. Now we print 500 and many of those remain on the shelf when time to replace with next month’s issue. And the ads that the paper featured. There were tons of ads. Eager Farmington businesses all took out ads, and even businesses from outside of town often had ads in our little “Good News Paper”. Now we struggle to get new advertisers, and some of our long time supporters have decided that their return on investment just isn’t enough to keep sponsoring the paper. We had a larger volunteer staff, and folks wrote columns, and covered news. There was Farmington history, there was library news, there was town events, lots of ads. The truth is, I don’t know how hard it was to get those papers together with all those things. All I see is the final result when I scan it in. But I do know how difficult it is to develop and pay for the paper today. And we do have two wonderful columnists in the paper today. I really appreciate the consistent efforts of Debbie and Kim who devote their time to develop their columns, sharing recipes and information about food and pets. Those columns add a lot to the paper, and I am not downplaying their contributions to the paper. As I approach the end of my fourth year as editor, and I reflect back at the 30 years of Puddledock production that my esteemed predecessor, JoAnn Doke, accomplished, I am both humbled and daunted by the prospects of the future for the paper. Putting it together was never easy, to be sure. But keeping it relevant is getting harder and harder, in my opinion, more from the consumer end than from the production end. It seems that folks would rather check Facebook than the Puddledock. 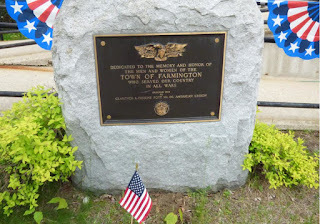 Participation in the Farmington Community Forum and the Farmington News, both Facebook groups, is high and consistent. 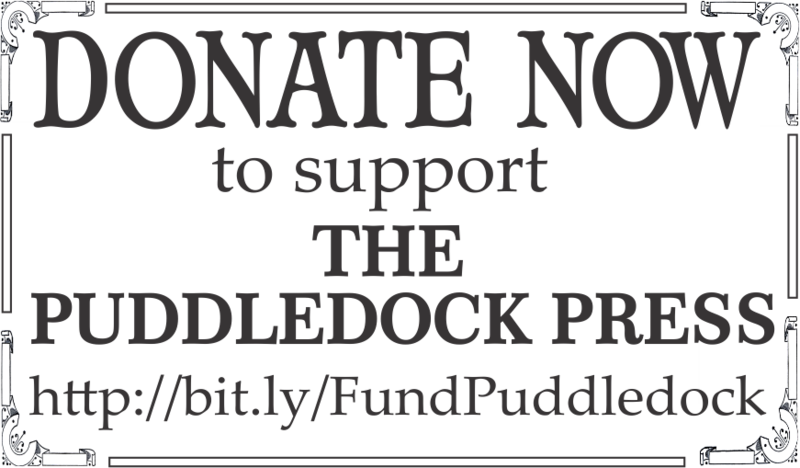 And readership for the Puddledock? Well, I just don’t know. It’s hard to gauge how well read our paper is. But I do know that folks readily post information and ads in those places, and forget that the Puddledock even exists. It takes a lot of time and energy to keep a printed paper alive and well. On the funding end, the lack of businesses in town, coupled with the ability to access free advertising in our Facebook groups, has made attracting advertisers more difficult than previously. Without adequate support from our organizations and businesses, our ability to print the paper is threatened. It has been a struggle to attract new advertisers to support the costs of printing and distribution of the printed paper. So what’s the solution? What does the future hold? I’ll leave you with one final question. 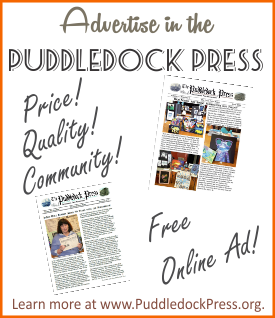 What’s the Puddledock Press, which will be 40 next year, worth to you? We need funds to print the paper and keep it going. Will you help us remain in print?